Look at the ruler below and answer the length of the object. 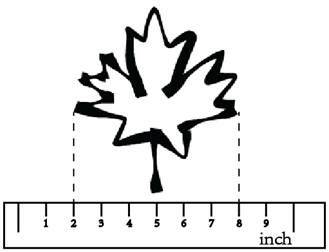 The length of the maple leaf is ___ in. long.